How far in life can hungry kids go? Imagine having to walk at least an hour to school, and learning on an empty stomach. Repeat every day. Chances are: you will eventually drop out of school. This intertwined story of hunger and poverty is not a story of one child but of an estimated 15 million children in our country. What this really means is that our country is raising future parents and members of a workforce who are less healthy, intelligent and productive than they could be, every day we do not start caring for them. Suddenly, what we recognize as hunger today is higher health costs and an underperforming economy in the future. What will it take for us to start caring? You and me – we – we can start today. Through Kusina ng Kalinga, we can help get our country’s future grown-ups back to school, to stay in school. We don’t mean forever, just long enough for them to learn what school can offer, including dreaming of a brighter future ahead! Find out how Kusina ng Kalinga works. 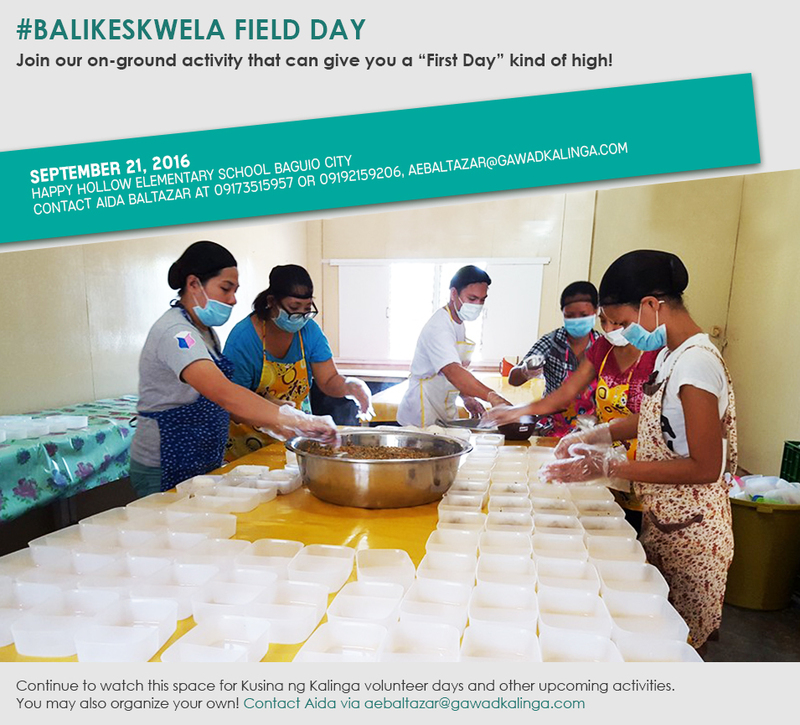 FACT: San Isidro Central School (Leyte) received 81 re-enrollees when Kusina ng Kalinga started its operations in Feb 2015. Not only does a meals-in-school program improve attendance rates, it also encourages out-of-school children to go back. This school year, aside from the daily, nutritious lunch meals, our care comes with raincoats to keep our kids from getting sick. This way, whether it’s a sunny day or a rainy day, neither hunger nor the weather can stop our kids from exercising their right to learn and play! Let’s help get our country’s future grown-ups back to school and off to a healthy start. Start with PHP 15, START TODAY. Click HERE to give via Bank Deposit. Aside from hunger and general poverty, disasters and/or conflict disrupt routine and may sometimes cause our kids to stop schooling all together. In the Philippines, back to school almost always means start of the rainy season too, and while we have no control over when the next big typhoon will strike, we can definitely become better prepared for it! 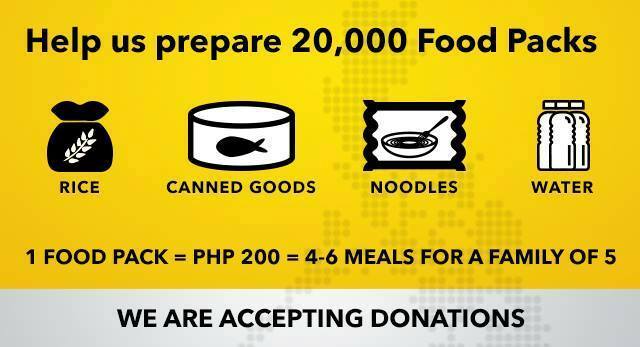 Give any amount in multiples of PHP 200 and enable us to respond to disaster within the first 48 hours.